"Location is good, many convenient store and fast food shop a..."
Have a question for EV World Hotel Sri Petaling? 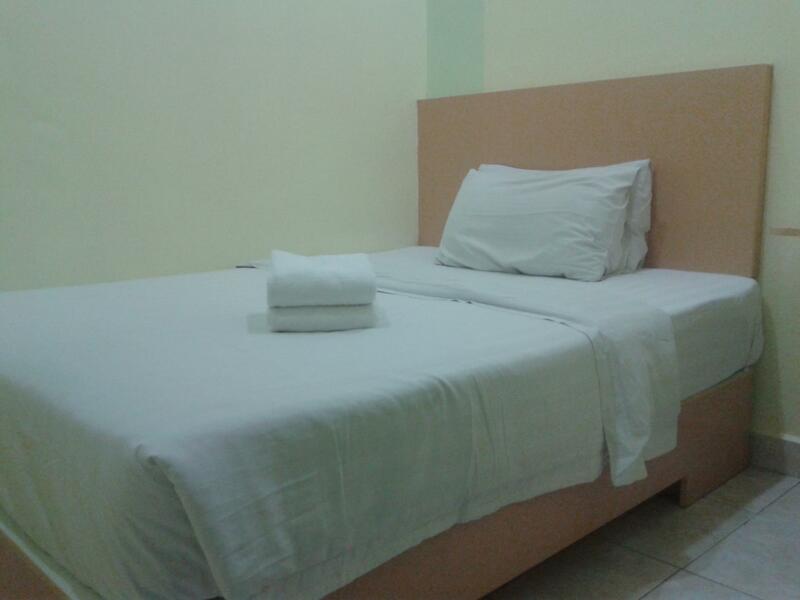 "Overall, for a budget hotel and you dont mind small rooms, its a good place." "Good location with many eateries and shoplots." Renovated in 2014, the EV World Hotel Sri Petaling guarantees guests a pleasant stay whether in Kuala Lumpur for business or pleasure. Situated only from the city center, guests are well located to enjoy the town's attractions and activities. 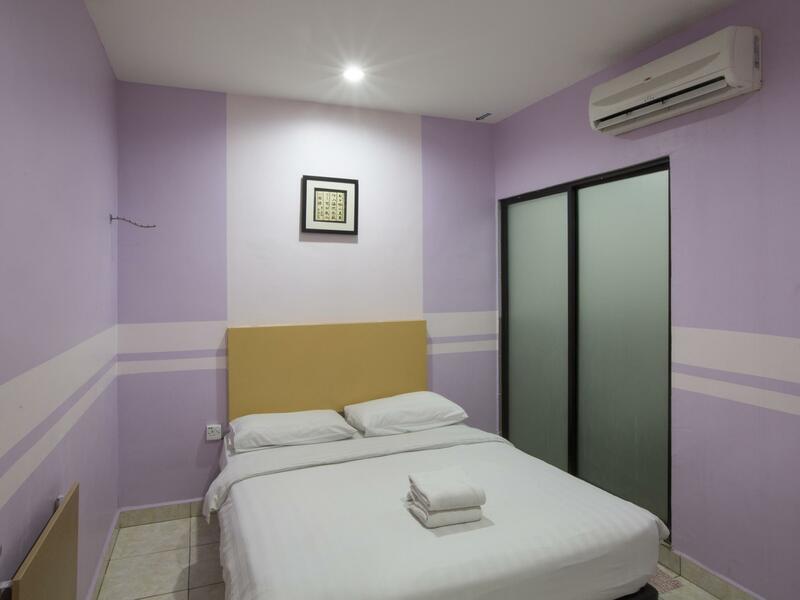 For sightseeing options and local attractions, one need not look far as the hotel enjoys close proximity to Malaysia National Hockey Stadium, National Sports Complex, National Aquatic Centre. At EV World Hotel Sri Petaling, every effort is made to make guests feel comfortable. To do so, the hotel provides the best in services and amenities. To name a few of the hotel's facilities, there are free Wi-Fi in all rooms, 24-hour front desk, express check-in/check-out, luggage storage, Wi-Fi in public areas. 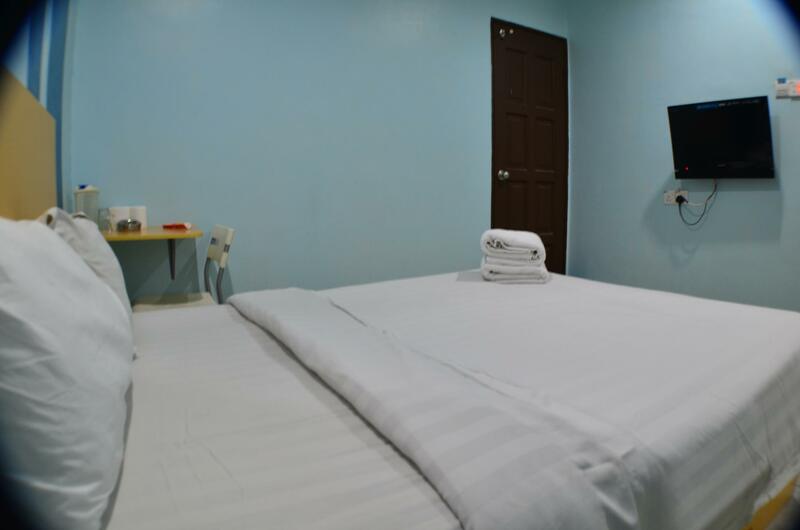 The hotel features 35 beautifully appointed guest rooms, many of which include television LCD/plasma screen, slippers, towels, internet access – wireless, internet access – wireless (complimentary). Besides, the hotel's host of recreational offerings ensures you have plenty to do during your stay. Enjoy unparalleled services and a truly prestigious address at the EV World Hotel Sri Petaling. "Single room with queen bed was ok for a solo traveller." Effective from September 1, 2017, Tourism Tax of MYR 10 per room per night is applied for all non-Malaysian residents, which is payable at the property upon check-in. The room type "Day Use (max. 4 hours)" can only be booked on hour basis hence the check out date should be on the same day. I rate 3 star for value for money as I need to pay for car park at nearby parking lot (costs me rm10 overnight). very difficult to find parking lot as this area is very busy. location is good, many convenient store and fast food shop also. Pros Cheap and affordable Cons I booked a family room weeks earlier somehow hotel informed me last minute that family room is fully booked and replaced by two delux rooms which are not nearby. 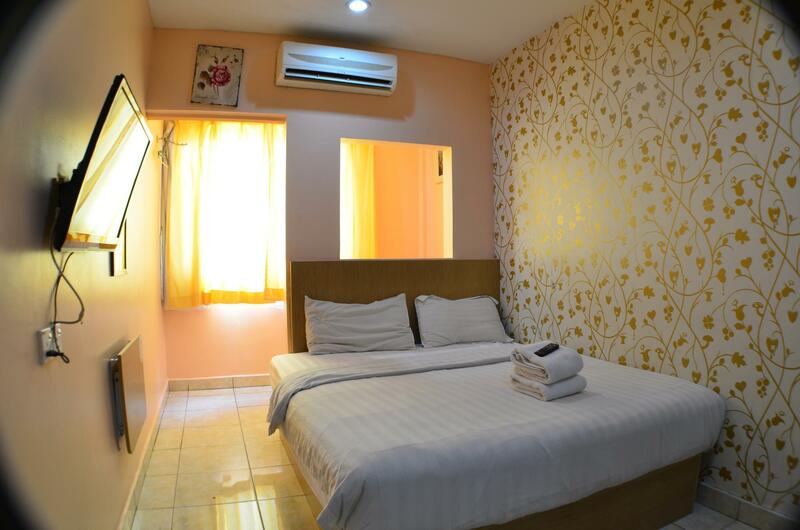 Overall, for a budget hotel and you dont mind small rooms, its a good place. Good location with many eateries and shoplots. No proper car parking facility, need to park opposite (RM10) overnight. Staff are helpful. Hotel provide guest hangout area with internet and simple cookies. TV is not clear. Housekeeping is done only once per day. We spent one night in EV World Hotel and it was absolutely terrible. The staff were not welcoming, the decor was nom-existent and the room wreaked of smoke. The restroom facilities were not up to par with other accomodations of this price. Way too expensive for what you get, a stuffy, windowless shoebox. Never coming back again. Around a new yuppie town area where there are quite a few restaurants. Have big car park area to park overnight (need to pay around $5) if you cannot find any free overnight parking. Daytime parking you need to pay. The worst hotel i have ever stayed.cleanliness is very bad,staff not friendly at all.when they gave breakfast there was no jam and when i asked for jam they said its finished.they even didnt appologise for that. The only problem, there is very limited parking place. I need to park my car very far away and wait till very late night then only I can find a parking place near the Hotel. If you can fix this issue, it will be perfect to me. Pros: Helpful staff. For transport, just use uber to go to nearby subway. Then you can move around KL. Self service laundry is nearby. Many restaurant with pork so you might ask the staff if you want to eat at non pork restaurant. Nearest ATM is within 15 minutes walk. They provide a computer near reception area. Cons: breakfast, traffic jam, and TV channel. - This hotel got very limited Parking - No security at night - Got cockroach in my room - Bed sheet & toilet cleanness VERY BAD. Good thing is that area can get a lot of good food. Hope they can improve on this. It's located at the heart of sri petaling where all the restaurants and eateries are next door. It's also convenient to stay here for the night before driving down to jb the next day. However parking is a such a pain here. 1)Pillows should change new as all pillows are not comfortable as well as very old already. 2)water dispenser machine should wipe it clean,lot of dust and stained on the machine looks unhygienic. Nice location. A lot of restourant around here. Very near Axiata Arena. 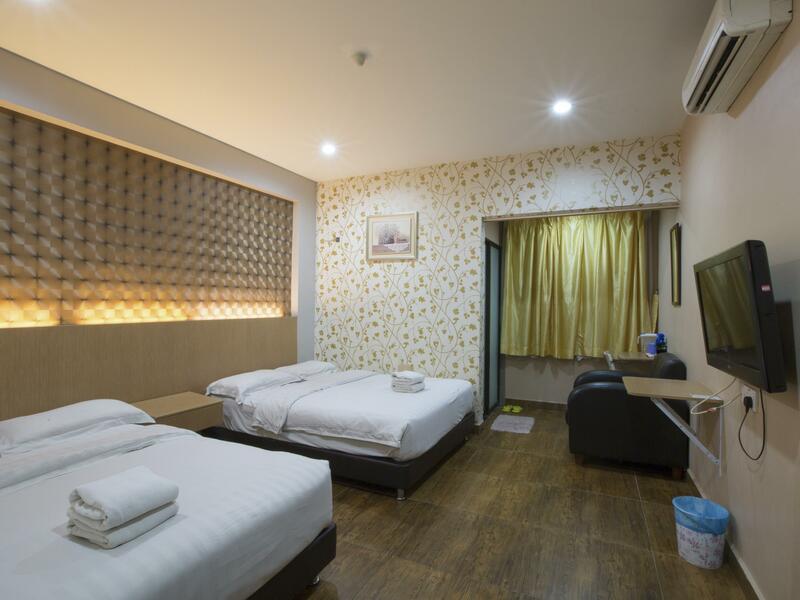 Good Budget hotel with excellent location to many eateries. Location was great and value for money.